Your donation will ensure that our local heroes have access to healthy food. No military member should ever have to wonder where their next meal will come from. But in Northeast Florida, this is a tragic reality. Jacksonville is a military town, and every day, thousands of military members - both active duty and retired - struggle with hunger. Of the more than 283,000 people in Northeast Florida we serve, 20 percent have at least one family member who is serving or who has served in the military. "We've recognized the need, particularly for our young enlisted that serve here at Mayport and around the whole area - we are a tri-based area and a primarily Navy town," said Charlie Tramazzo, director of development at the Jacksonville USO. "We learned from some of the programs that we do that, I'm not sure that'd I'd call it food insecurity but it's certainly is a situation where there is a need to help the young enlisted who do not make a lot of money get from pay check to paycheck with the right kind of food. What we're noticing is that there has been a shortage of fresh fruit and vegetables and lean meat in their diet." 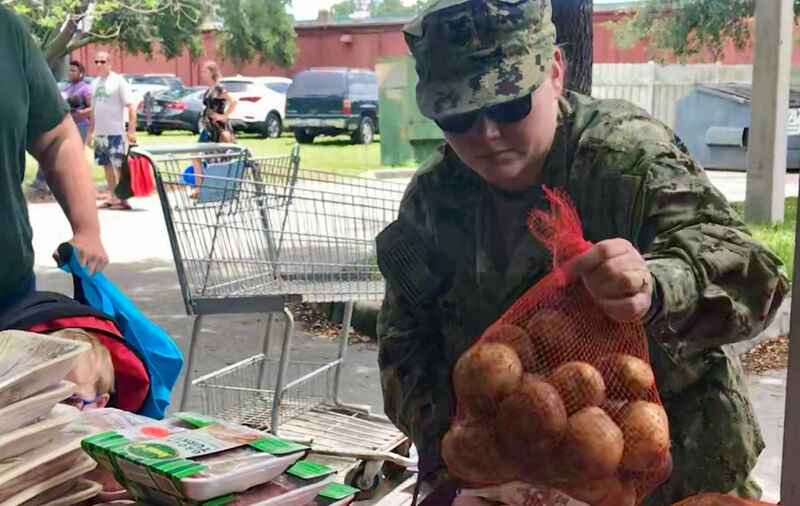 With hundreds of young, local active-duty military families struggling, Feeding Northeast Florida, Humana and the Jacksonville USO have formed a partnership to provide these struggling families with critical resources. Feeding Northeast Florida has begun hosting mobile food pantries for these families. And together with Humana and the Jacksonville USO, we plan to launch a stable pantry inside the Mayport USO Center. Feeding Northeast Florida is committed to ensuring that our local heroes have the healthy food and critical resources they need. But we cannot do it alone. Your donation will ensure that these local heroes don't have to worry about how they will feed their families. To learn more about the Greater Jacksonville Area USO, please visit www.JAXUSO.org.